Boot Camp on Sunday, 1/13/19 at 9:30am at Newtown Athletic Club with Andrew Haberman, Ryan Miller and Krista Williams. $25 minimum donation to participate in the Boot Camp Fundraiser. 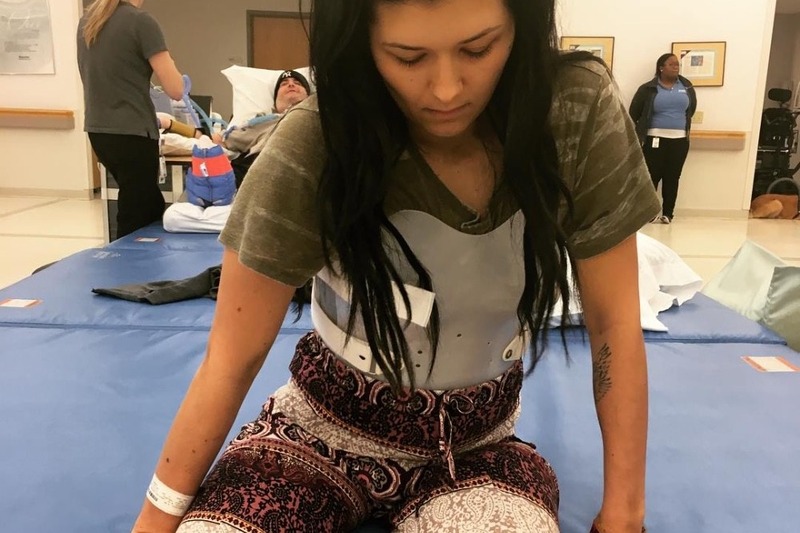 Amanda's story: On 1/11/18 I was in a very bad snowboarding accident. I was hitting a jump and took a bad landing. I broke a rib, shattered parts of my spine, and was rushed to emergency surgery at Lehigh Valley hospital. I have 65 staples all the way down my spine and a metal rod and bolts in my back now. I have spinal cord damage at location T-12, which means at this point in time I am paralyzed from belly button down. The doctor told me there’s one in a million chance that I am ever going to have feeling in my legs again. I don’t believe that. I know in my heart I will be back to normal. After spending 9 days in the hospital, I was transferred to Kessler Rehabilitation Center, the #1 center for spinal cord injuries. I’ll be living here for a short while to help me recover. I love it here so far and I love therapy!! I’m getting better every day. It’s truly a miracle. I have little pain right now and I was off of pain killers in only 8 days! The doctors are amazed with me!! I’m so determined to get better. Amanda is currently rehabbing with NAC expert trainer, Andrew Haberman. She is making amazing progress, but we need your help to support her journey. By donating here you can help. 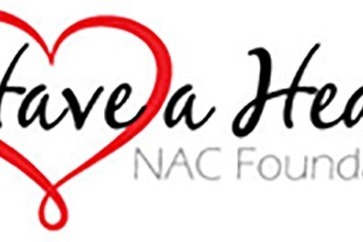 At the NAC we are hosting a fundraiser for Amanda through our NAC Have a Heart Foundation and hope that you will give to support her journey to recovery. 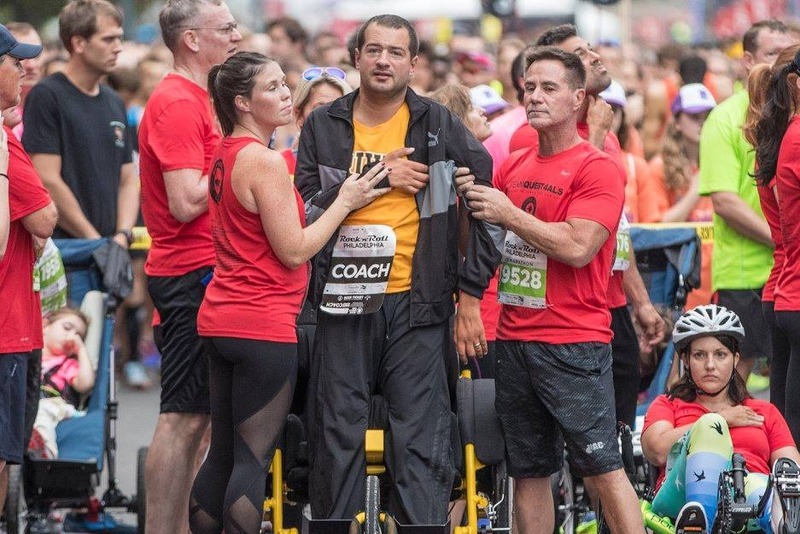 While the foundation supports many causes, one of its main focuses is raising funds for ALS research (funds going directly to ALS TDI) to find a cure for this horrific disease and supports advocacy for causes that affect the terminally ill. To date, almost $2 million has been raised for Augie’s Quest through Matt’s Mission. Many thanks for the support of our members, the community, our business partners and to NAC Have a Heart founder Jim Worthington for his personal contributions. Pictured below are Caitlin Bellina, Matt Bellina and Jim Worthington at the Philly Rock 'n Roll Half Marathon 2017.